INNOMARK's skilled designers provide display and signage concepts that differentiate your brand and enhance the shopping experience. In-house manufacturing guarantees efficiency, timely delivery, and high quality. 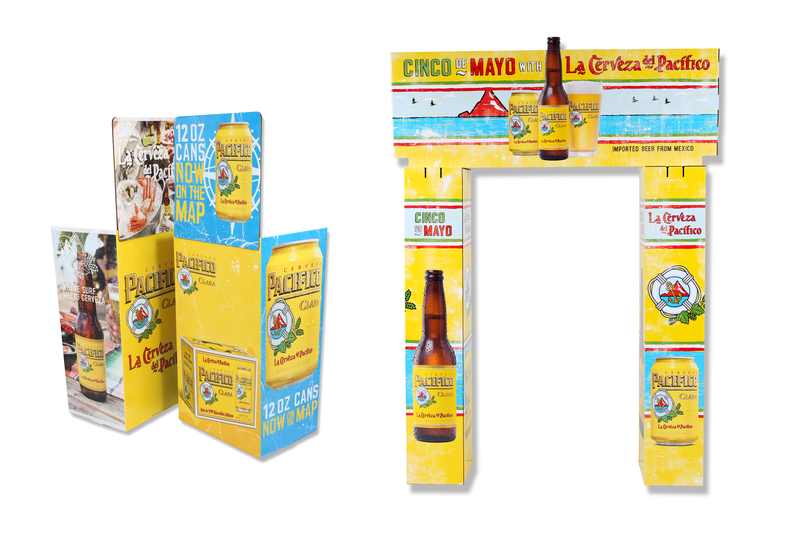 Strong design is the foundation for a successful display program. INNOMARK is home to 30+ of the industry's most talented structural and graphic designers. They work in a 10,000 sq. ft. state-of-the-art space that is equipped with the most up-to-date software, digital printers, and prototyping equipment. This team provides original concepts, renderings, white samples, and color prototypes. In-house manufacturing brings the creative vision to life. All temporary display projects are designed, printed, produced, and packed by our team, on our equipment, in our facilities. An experienced Project Manager oversees each job and manages quality, budgets, and timelines. Our convenient Midwest location is ideal for distribution and drop shipping. It is located in one of the nation's largest 90-minute land and air travel markets. Its classification as a "favorable rate zone" provides significant cost savings. 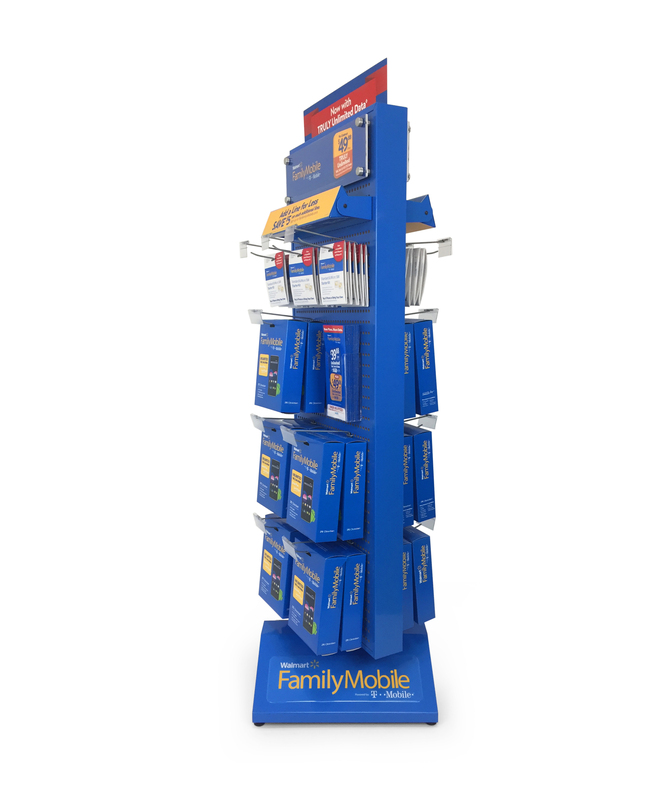 INNOMARK also offers custom fulfillment solutions for displays and in-store marketing materials. A customizable web interface offers convenient online ordering, tracking, and real-time reporting. Our in-house Web Development team provides custom reporting applications that deliver program data and make management easy. As you can see – we do it all in-house. It's why INNOMARK is the industry’s most complete temporary display solution. The INNOMARK permanent display team specializes in 1-5 year lifespans for retail displays and décor elements. As a leader in CPG, retail store development, channel marketing, and branded shopper experiences, we provide design, engineering, and multi-national implementation and installation. INNOMARK is known for creating brand-specific consumer experiences that drive measurable lift and positive ROI by engaging shoppers at the point-of-purchase. We are equipped to deliver a wide variety of permanent retail programs and visual marketing materials. INNOMARK offers in-house offset lithographic, screen, and digital printing. Our extensive experience, tremendous capacity, and G7® qualification guarantee high quality, color consistency, and timely delivery at the best possible value. Roll over the graphic below to explore our diverse printing capabilities. INNOMARK is home to eight offset lithographic presses. They offer tremendous capacity, as well as a wide variety of sizes, materials, and coating options. This equipment is ideal for printed signage, hanging banners, display components, and more. A G7® based press profiling system ensures consistent quality and color matching across all equipment and substrates. Your color is integral to your brand. We’ll keep it looking great. Digital printing offers a cost advantage for shorter, more frequent campaigns and highly targeted content. Our extensive digital equipment list provides excellent quality, vibrant color, and UV/water resistance for up to two years. Devices with added ink channels provide significant color gamut extension. This equipment is ideal for a wide variety of retail signage and décor elements including, but not limited to: indoor/outdoor banners, two-sided banners, backlit signage, wall coverings, variable data print programs, and web-to-print programs. INNOMARK’s screen printing equipment can deliver graphics for permanent displays, directional signage, promotional banners, wraps, and more. Our multiple in line presses can process up to six colors, as well as a wide variety of sizes and substrates. Vibrant and durable custom-mixed inks are ideal for brand equity colors.